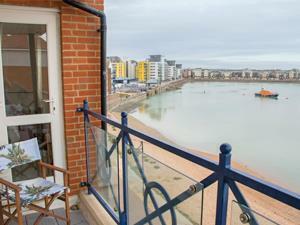 16 San Juan Court01273 302516work Self-catering Under-building car parking - stunning views from the sitting room/balcony and from the main bedroom of the outer harbour and to the sea beyond, as far as Pevensey, Bexhill and Hastings. San Juan Court is a very well-kept block of flats with a nice central courtyard garden. It is located on the outer harbour and therefore one can watch, from the balcony, all the normal comings and goings of leisure and fishing craft. The flat faces East and South and therefore catches the morning sun on the balcony until about lunchtime. The flat has 2 bedrooms, a bathroom and a shower room. There is a small but very nice fully fitted kitchen with a window that looks out towards the sitting room and to the outer harbour. 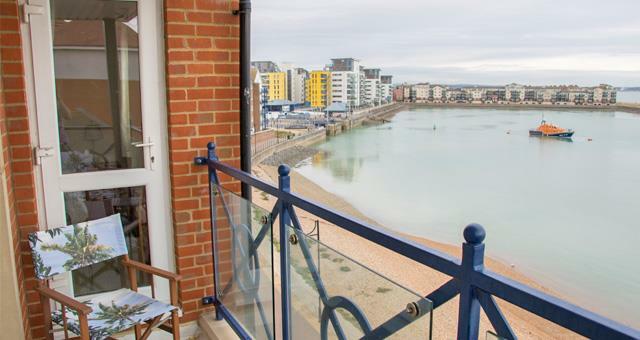 Under-building car parking - stunning views from the sitting room/balcony and from the main bedroom of the outer harbour and to the sea beyond, as far as Pevensey, Bexhill and Hastings. San Juan Court is a very well-kept block of flats with a nice central courtyard garden. It is located on the outer harbour and therefore one can watch, from the balcony, all the normal comings and goings of leisure and fishing craft. The flat faces East and South and therefore catches the morning sun on the balcony until about lunchtime. The flat has 2 bedrooms, a bathroom and a shower room. There is a small but very nice fully fitted kitchen with a window that looks out towards the sitting room and to the outer harbour. The second bedroom now has a standard sized double bed and the main bedroom has a king size double bed. Bus - Along Atlantic Drive/Santa Cruz Drive, San Juan Court is a very short walk through Barbuda Quay from Atlantic Drive. Car - Look for Sovereign Harbour South, take Atlantic Drive, then Santa Cruz Drive, then Barbuda Quay to reach San Juan Court.